What a unique way of presenting your mini models on a plaque. 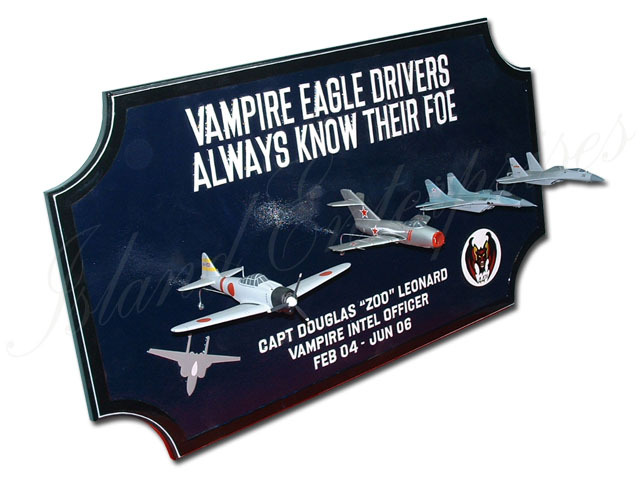 You can customize this with your choice of mini models and their unit markings as well as the carved logos and texts on the plaque. And remember, we offer a 100% money back guarantee if you are not convinced you have bought the best product available on the market!! !